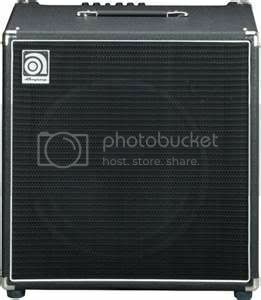 I have a primo Ampeg BA115 bass amp for sale. Been using it as a monitor at church. It stays at the church full time. These sell new for $379.00. I will sell this for $285.00, OR BEST OFFER! I AM SELLING THIS TO UPGRADE TO A GK MB112! 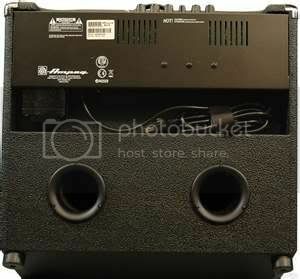 THIS AMP MAKES THE PERFECT MONITOR OR PRACTICE AMP!!! 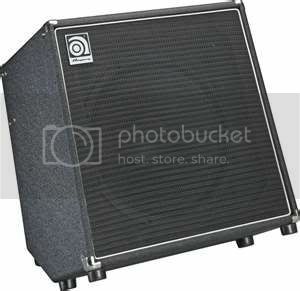 The Ampeg BA115 Bass Amp Series Combo, a member of Ampeg's starter series, has simple, clean looks and easy controls. The BA115 delivers 100W of power to a single 15" speaker. It provides simple 3-band tone controls, plus a "style selector" with 5 basic tone options. Other features include master and gain controls, a balanced line out (XLR), headphone jacks, and RCA inputs for connecting a CD or tape player. As a handy stage feature, the cabinet tilts back. These pictures are NOT the ACTUAL amp I have. My amp is kept at church and I can take pictures of IT upon request. Mine is flawless cosmetically and electronically! !